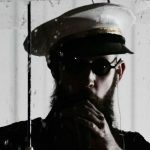 World Problems theatre review (45downstairs, Melbourne) | Daily Review: Film, stage and music reviews, interviews and more. With all the answers, all the proof of our lives and of others at our finger tips, memory is – most ironically – becoming a thing of the past. On the other hand we’re recording more of our lives than we ever have before – and to what end? These very millennial problems – the juggernaut of individualism, rapidly advancing technologies and globalisation – are the primary fodder for Emma Mary Hall’s new work World Problems. The piece takes us through multiple temporalities. The Now (while looking-back-at-the-past), The Future (looking-back-at-the-now), and The Future (looking-into-the-less-distant-though-increasingly-more-distant-future). Hall is a contemplative and charming historian. She’s also the epitome of a white, middle-class millennial. Educated and connected, an individualist with an undisguised bleeding heart. She’s at once reflective and genuine as we’re taken into the work. Hall delivers a barrage of her memories – each given as much consideration as any other. She remembers first-hand experiences (being stung by a bee) and the second-hand (watching the Twin Towers fall on 9/11). The most extravagant or dramatic of memories have been told to her, viewed on TV, or sung by another artist. Sitting in an audience of similarly ordinary theatregoers at fortyfivedownstairs, the most remarkable thing about ‘Emma Mary Hall’ is that there’s nothing personally remarkable about ‘Emma Mary Hall’. At least not in tonight’s work. from a relentless series of similar statements. In this case they each open with the short gambit ‘You remember…’ or ‘You remember when…’. So far so uncomplicated. Fortyfivedownstairs is nothing more than what it is – an empty warehouse. The main additions are a screen at the rear of the space and a collection of wrought steel. The projection is a simple rotating wheel of dots that could be a sonar map. The steel is assembled by the performer very slowly throughout the performance and made into a trampoline. A sparse diegetic piano soundtrack accompanies the work. The focus is her inventory of recollections. The ‘memories’ are sometimes linked to the next and sometimes tangential. The memories can be frustrating, bemusing, repellant, cute. crushing and irresistible. I found myself acutely aware of how little I know of the personal histories of people close to me but how much I know about the latest feud between celebrity X and celebrity Y.
It’s a difficult work. If you fail to be entranced by the concept, or by Hall’s naturalism (including her earnest fourth-wall breaches), or by the gentle pace, there’s going to be a lot of time for you to spend wondering: when was the last time you watered your plants? Does Hall really want us to answer the handful of questions? Did you leave a frog slowly boiling in a pot on the stove? The play functions on a sort of alchemy: we’re given an entirely recognisable – even forgettable – character through which to see the potentiality of our own terrible collective future. Toward the end of the play the text moves into the fictional/possible future and the performance moves into the fantastic. There’s an awful calmness in Hall’s acceptance of the fate of the planet and its people. A meditation on and an expression of grief. It’s Auden’s Funeral Blues via Huxley’s Brave New World. It’s a Junkee article on your favourite ’90s TV shows via a eulogy for the planet. Tomorrow’s Parties, in which the performers go back and forth, trading statements beginning with the phrase ‘In the future…’. Both works trade in the banal, fantastic, topical, and broad. And obviously the future. But whereas All Tomorrow’s Parties lay entirely in propositions and the play between the two actors’ inventiveness, Hall’s builds the audience a past and a character before diverging. In the final gasps of the show/planet, the now Pan-like Hall ignores the audience to jump on the trampoline. She’s alone. Innocent again, but also dying. World Problems is an unambiguous warning and is deeply depressing, and powerfully dystopian. Hall takes aim at a generation, and drags them beyond the problems of today or of the self, to face the far greater threats of the future of our own creation.